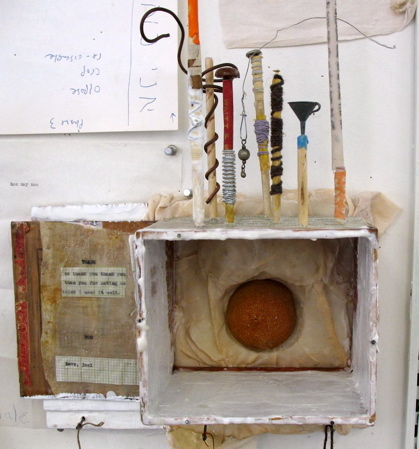 With that, he put aside the will to mastery and reclaimed the ideals of emptiness, receptivity, and humility—states sought and cultivated by artists as diverse as the classical Chinese poets and painters, Franz Kafka, Allen Ginsberg, and Cy Twombly. 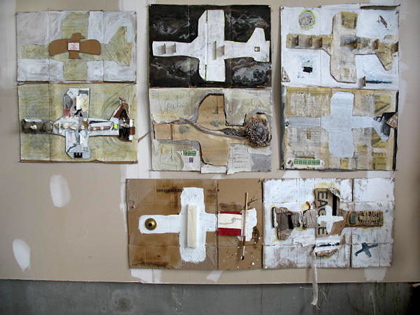 In service to his reborn muse, Schapira replaced the ten-foot canvas with small pieces of cardboard torn or cut from discarded boxes. 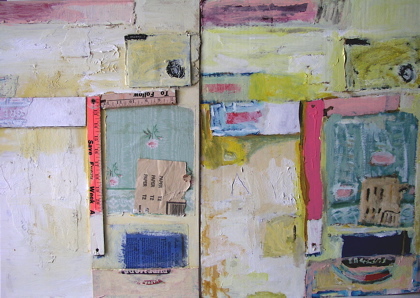 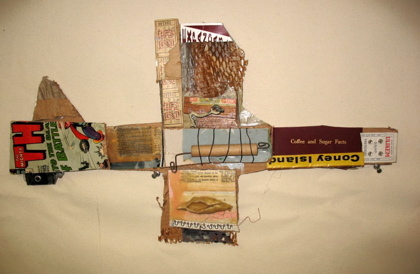 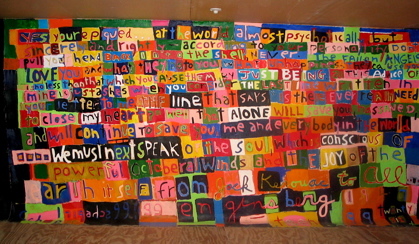 He augmented his “paint-box” with string, tacks, clippings, cigar box pieces, found objects, cutouts, and empty space. 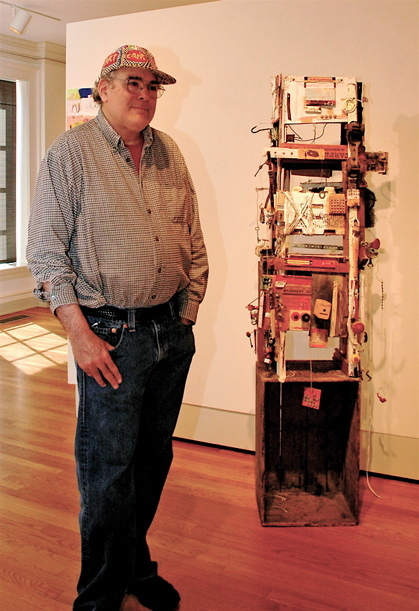 In his approach to art-making and life, he replaced doing with being. 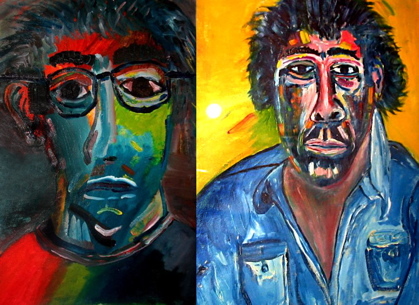 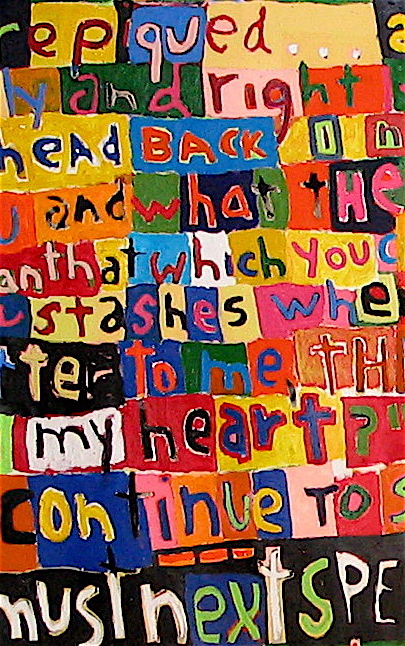 From the earliest self-portraits (“I was so surprised when they didn’t all look the same”), through the huge layered canvases, to the pieces which flowed from Wolfteeth Evermore, Schapira’s work has been true, the work of an artist willing to be drawn by whatever the world and his imagination present. 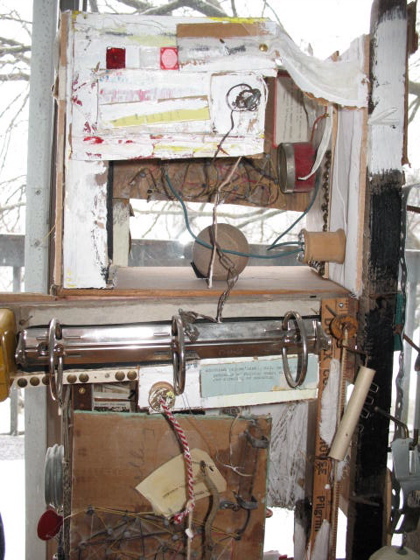 Schapira’s engagement with paradox and process now forms itself into what he terms “structures:” ornate and humble constructions strange as a shaman’s vision, but as teetery and fragile and complex as a human life.